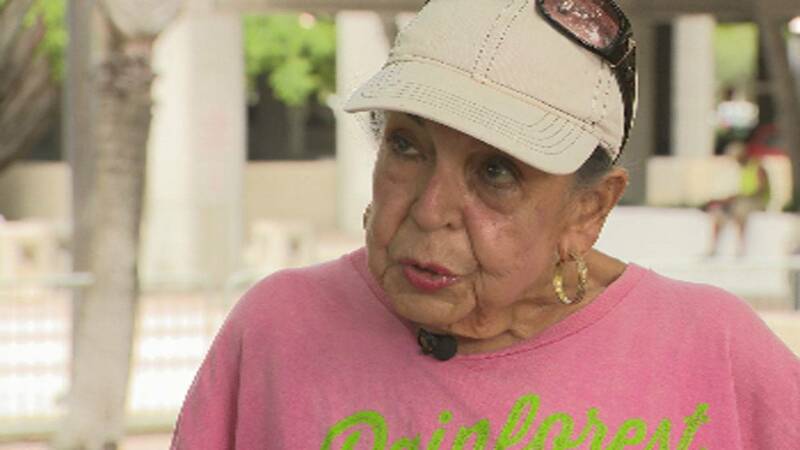 FORT LAUDERDALE, Fla. - Like all of the dozens of homeless people who live in Stranahan Park in downtown Fort Lauderdale, Carmela Batista has a harrowing explanation for how she has come upon such hard times. "It's a long story," Batista said in her regular spot at the park where she lives with her daughter, Ana, and cat, Felina. "I always said I have a perfect life. That's why being here, now, is like a shock." Her story is undeniably longer than most. Her 82nd birthday is coming next month. 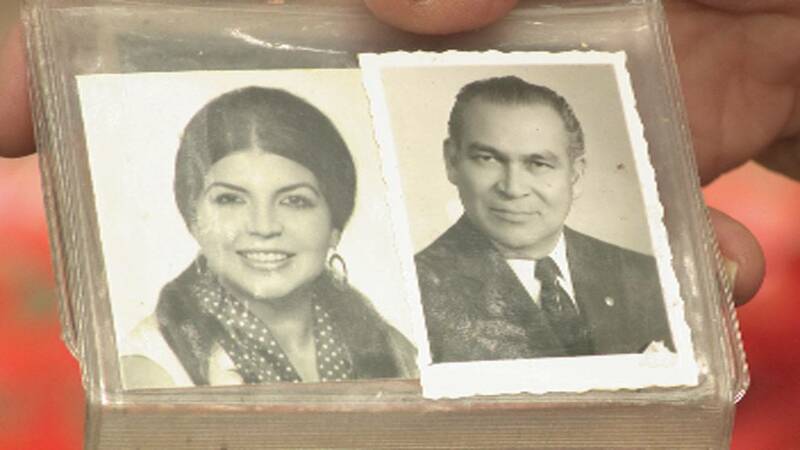 Clues to her life's extraordinary twists and turns comes when she pulls out her picture book, which includes photos of her from decades ago, one next to a photo of Fulgencio Batista, the former leader of Cuba. On the back of the photo, the one-time dictator wrote the word "besos," meaning kisses in Spanish. "The former president of Cuba, Fulgencio Batista, that was my daddy," she said. Carmela's mother, Marina Estevez, had a romance with the married Cuban leader in 1934. When she was born in 1935, he had already successfully staged a military coup in the island nation and in 1940, when she was five, he was elected president. She said that even though she wasn't officially part of the nation's first family, he visited her regularly and always made sure she was taken care of financially. "He was a strong man, but he was, like I said, a friend," she said. "He was like my best friend." In 1952, Batista again took the reigns of power in Cuba, this time with a coup after which he seized power as dictator. It led to a time some regard as Cuba's heyday and what others view as a corrupt Mafia-tied regime. Carmela defended her father's legacy and said that, as a young woman, she paid little attention as Fidel Castro fomented a revolution against Batista until Dec. 30, 1958. It was on that day, she said, that she received a surprise call from one of her father's assistants. "He told me, 'Your father said that you didn't see snow before. Would you like to see it?'" she recalled. "I said, 'Yes.'" She was then flown to a hotel in New York City with an aunt and uncle. The very next day, New Year's, she learned the real reason for the trip: Her father's government had been toppled by Castro and he, too, was forced to flee. The revolution led to celebrations in the street and the destruction of all things linked to Batista. Carmela said she was told that she and Batista's eight other children from two marriages narrowly escaped death. "Castro had a satanic idea to put all the kids and his wife and all of us (against) a wall and killed," she said. While still safe in New York, she said her father, who amassed a great fortune and exiled to Portugal, called Carmela and asked her where she wanted to live. While his children were scattered from New York to Miami to Portugal, Carmela had a unique request. "He said, 'Carmela, where do you want to go?'" she said. "Fort Lauderdale. ... I love it, because it's like the Venice of America." While she had no financial worries, Carmela worked as a piano teacher and medical secretary. 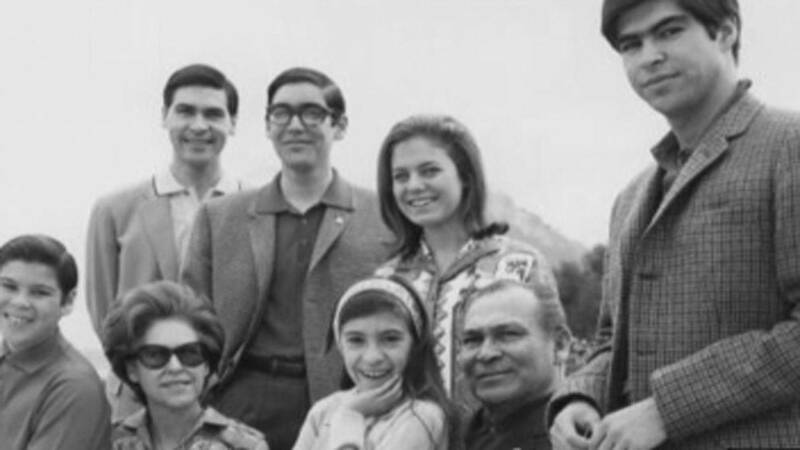 When her father died suddenly in 1973, all of his children were called to New York, where they learned that he had inherited an equal share of his fortune. Carmela wouldn't reveal the amount, but confirmed it was more than $1 million. She purchased a home in the upscale Coral Ridge neighborhood, a condominium on Galt Ocean Mile and had a short marriage before she divorced her husband. She said she always wanted to have children, so at age 53, she adopted Ana as a newborn. "She was my mama and my papa together," Ana Batista said. Carmela sent Ana to the best private schools, including the exclusive Saint John Paul II Academy in Boca Raton, but there was a special rule when classes included lessons about her grandfather. She said she was excused from class whenever Batista was discussed. "Because they talked bad about him," Ana said. "They're calling him the dictator." Then came the Great Recession and tough financial times for the family. "I lost my money with the stock market," Carmela said, adding that she always gave freely to the poor. She racked up $17,000 in American Express charges that she couldn't pay back, leading to a judgment against her. 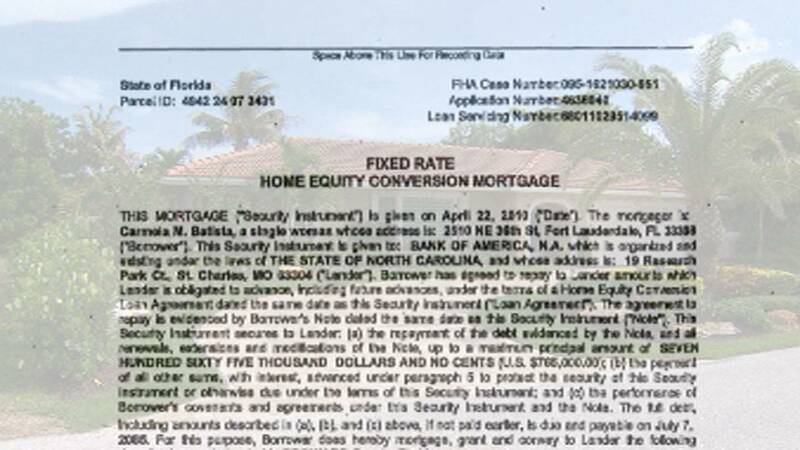 She took out a mortgage on her house and couldn't make the payments, leading to foreclosure proceedings. They couldn't afford to pay the water bill on the house, leading to a lien from the city of Fort Lauderdale. In lieu of foreclosure, the house was lost in a short sale. It sold last year for $830,000. 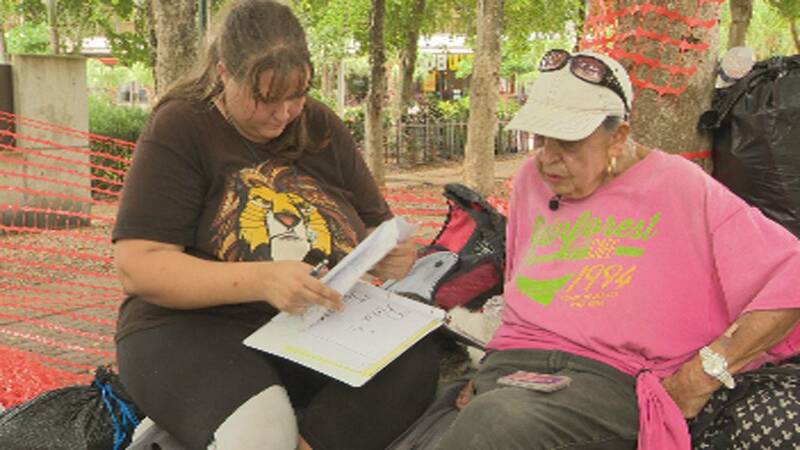 For two years, mother, daughter and cat have been homeless, at times living out vehicles, occasional motel stays when they have a little money and for months they lived on bus benches along Oakland Park Boulevard before settling in at Stranahan Park a few months ago. 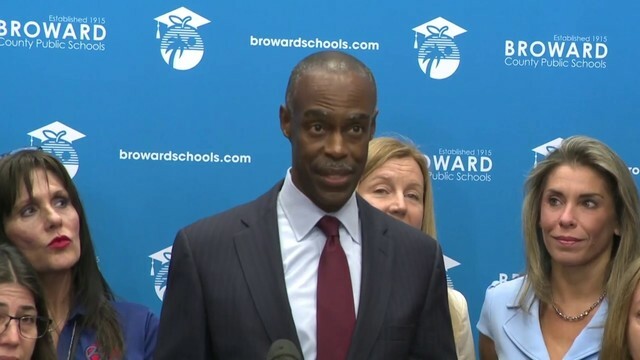 They now sleep in a covered doorway by the Broward County library. It's when talking about sleeping on concrete that Carmela's voice breaks. When reached at his New York City residence, Roberto Batista, one of Carmela's brothers, said he had heard she had come upon tough times but didn't know that she was homeless. "It breaks my heart," he said, adding that he recently had to go back to work as a lawyer because of tough financial times. "Everyone is struggling in spite of the publicity we got way back then. I can't possibly help her out." 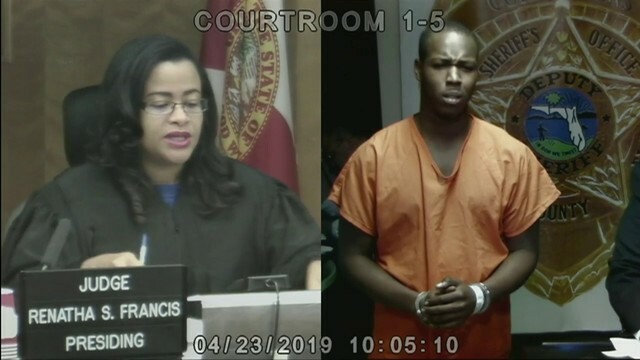 A call to the Miami law office of her nephew, Raoul Cantero, a former justice of the Florida Supreme Court, went unanswered. "I'm going to be a little bit traumatized after I leave this place," Carmela said. The family has hopes of soon leaving the park -- and homelessness -- for good. Ana said she has been promised a job in Orlando, which Carmela calls "the Mickey Mouse place," beginning July 8, but they have no money to make the move. They've started a fund on YouCaring.com for those who might like to help them get back on their feet. "It's like God wants to teach me something," Carmela said. "Next time, it won't happen. It's a hard lesson, but you learn it."